I’m already missing the Alabama Gulf Coast, even though I was just there in April. One thing I love about the beach is that there is something for everyone. I love some quality down time on the beach walking, reading a book and just looking out at the ocean surf. I think it’s great therapy. 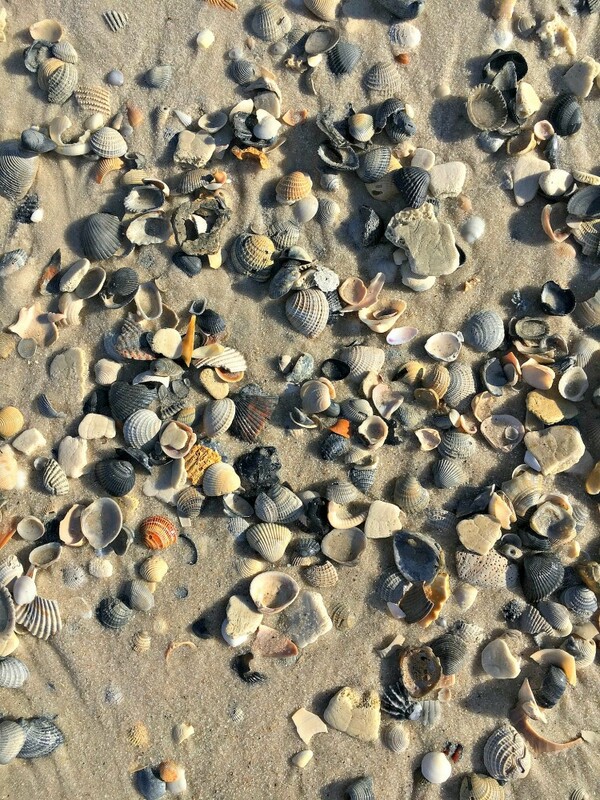 I also love looking for shells while out walking the shoreline and I brought back several to my girls. Beyond the beach, yes I know it’s hard to imagine such a thing especially if you have sand in your soul, there are all sorts of things to do in the Gulf Shores and Orange Beach area. Here are 5 must dos to plan during your next getaway to the Alabama Gulf Coast! Kayaking - Although I have been canoeing several times, I’ve never been kayaking. Our Wild Native Tours guide, Johanna, was knowledgeable about wildlife and the natural habitat of the Bon Secour National Wildlife Refuge. I went on a morning kayak excursion and it was peaceful and relaxing, as well as a great arm workout! We also spotted dolphins while out in the bay. What a beautiful way to connect with nature, get a workout and see a different part of the coastal ecosystem beyond the beach. Beach Yoga - I’ve done yoga off and on in my life (my brother is an amazing yoga instructor in Thailand), but I’ve never done yoga on the beach. It was so grounding and peaceful to start the day with yoga on the beach. Luckily for us, the morning was overcast and not terribly hot. I’d definitely recommend yoga on the beach early in the morning. Glow Yoga owner Jennifer Guthrie, who moved to the Gulf Coast from Nashville in 2012, was an amazing instructor. The sound of the surf and the ocean breeze was the best yoga environment imaginable. Glow Yoga has a studio in Gulf Shores and offers yoga classes at The Gulf restaurant (another Alabama Gulf Coast must do) on Saturday mornings. 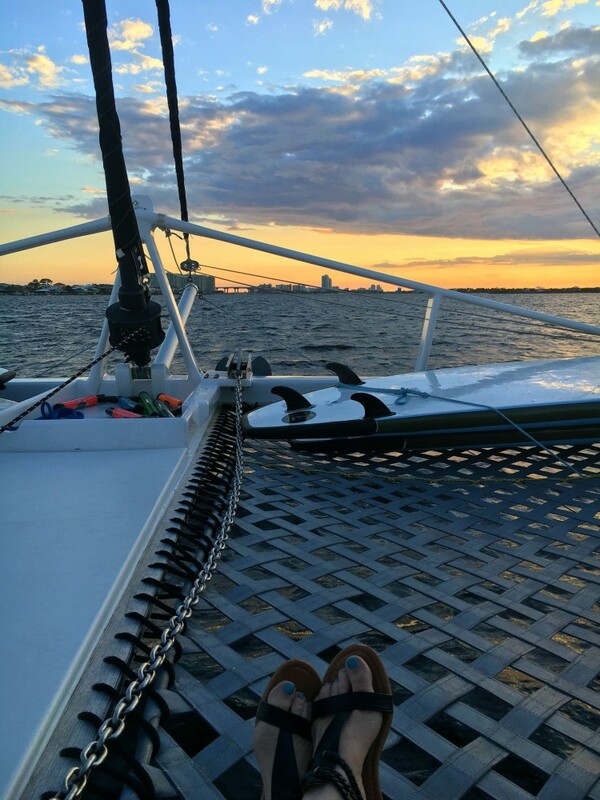 Sunset Cruising - A sunset cruise is a great Alabama Gulf Coast getaway must do. There’s nothing more peaceful than watching the sun set over the ocean, feeling the breeze and spotting dolphins. The captain and crew aboard Sail Wild Hearts are incredibly professional and friendly and the catamaran is spacious. There are snacks and water on board provided by the crew. This was my second Sail Wild Hearts cruise; the first was a morning kayak adventure cruise with my family last year, and I would definitely recommend booking with them. Spa Time– No girlfriends’ getaway is complete with out a spa experience. The Spa at The Beach Club by Spectrum Resorts in Gulf Shores offers a full menu, including massages and salon services. Shopping (aka retail therapy if you get too much sun) - Now I know some people who are all about hitting the outlets while at the beach. 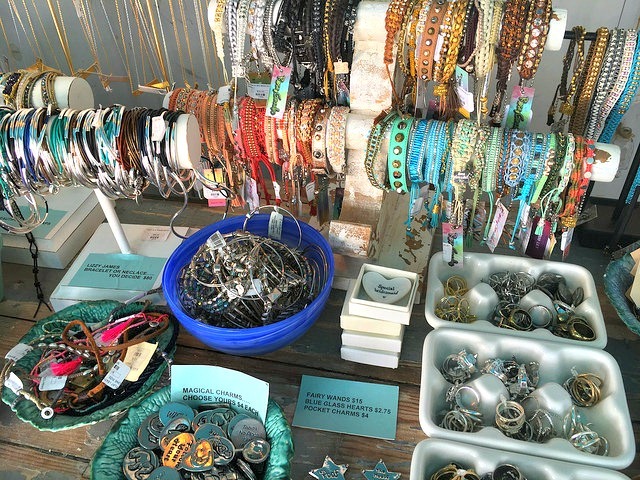 I’m not really much of a shopper while on vacation, but I do like hitting boutiques or unique gift shops that go beyond the standard salt water taffy and air-brushed fashion. 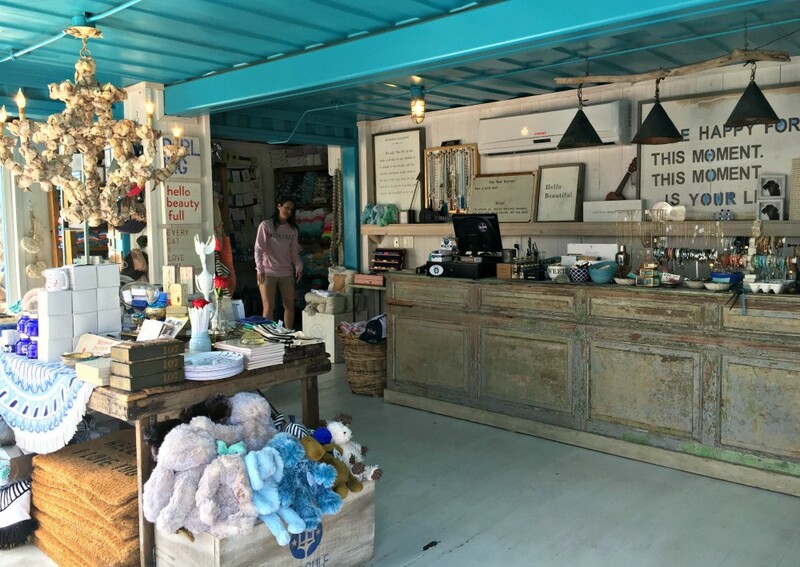 The gift shop at The Gulf was one of the retail therapy moments of bliss during my recent time on the Alabama Gulf Coast. It’s filled with beautiful and unique items and, of course, t-shirts! The Gulf plays vinyl albums while you dine and drink and the view is amazing. Highly recommend! Looking for 5 great places to grab a cocktail while at the Alabama Gulf Coast? Check out this post! When was the last time you got away from it all with a group of friends? 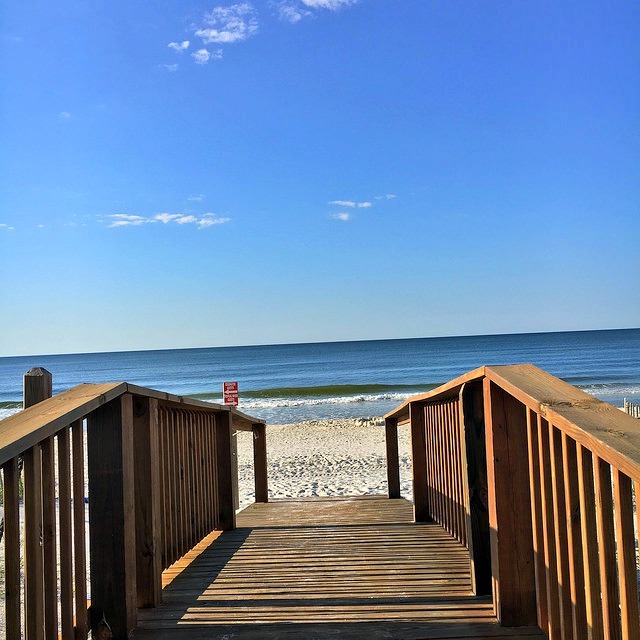 This entry was posted in Travel and tagged Alabama Gulf Coast, gulf shores, Orange Beach, travel. Great suggestions… thanks! We’re headed to OB for a vacay in Sept.
Hi, thanks for the great article. I’m a fan of travelling and beach-going myself, so it’s always good to have a few extra suggestions on how to spend my time luxuriously. All that’s left then is picking a good destination for these vacations, so I go by this site a lot http://www.agent.media/life/travel/ because they do loads different categories and cover most travelling themes which you might find pretty interesting! Hi! I’m about to start my own website and was wondering if you know where the best place to buy a website url is? I am not even sure if that’s what its known as? (I’m new to this) I’m referring to ““. Exactly how do I go about getting one of these for the website I’m building? Thanks!